Don’t get me wrong, I thoroughly enjoyed the extended warm spell (I went for a long walk in a tee shirt last Wednesday!) However, I have to admit that winter’s late arrival brings me equal joy. Now that we have 6 or so inches of white fluffy snow and an excuse to stay inside and fire up the stove I can once again settle in to cut up some of the delicious veggies that we have been storing. 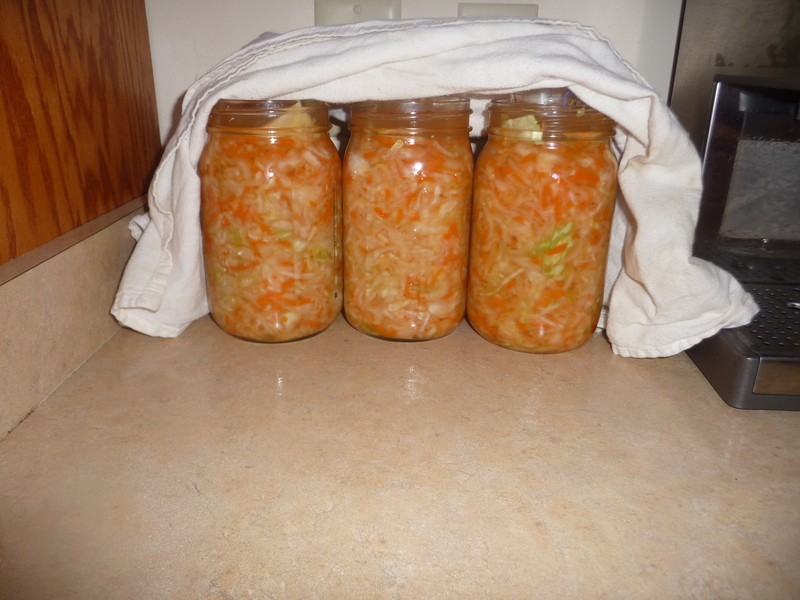 3 days later, my cabbage and carrot kraut is a bubbling, fermenting brew- I can’t wait! Wednesday night I finally started my first batch of fermenting cabbage (sauerkraut) with cabbage and carrots that I have been saving just for that purpose. Thursday night’s snowstorm was perfect for a delicious veggie beef stew and today, with a cup of rosehip tea from our farm’s wild roses and our own lovely bees, I see that it is time to bring this blogging up to date! One of the things that I love to do inside in the winter is (no, not housework) making broth and soup and revisiting summer through jars of canned goods and root cellar booty. 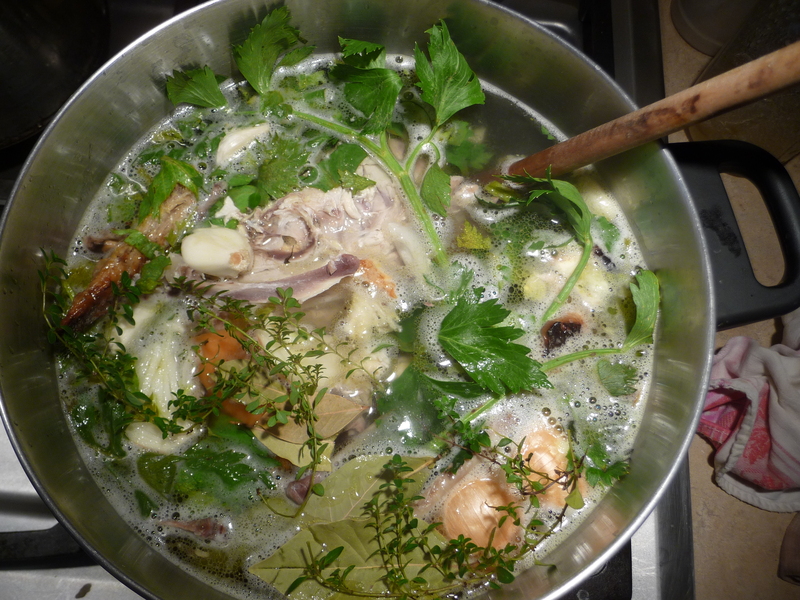 Broth-making is ongoing here. Somehow we can always find a use for it, so what we don’t use right away we freeze. The flavors of the broth vary with what is available; in fall the fragrant and deep green celery leaf enriches veggie broth, in winter, it’s more mellow relative, celeriac (celery root), gives a more subtle flavor. Onions, red and yellow have distinct flavors. 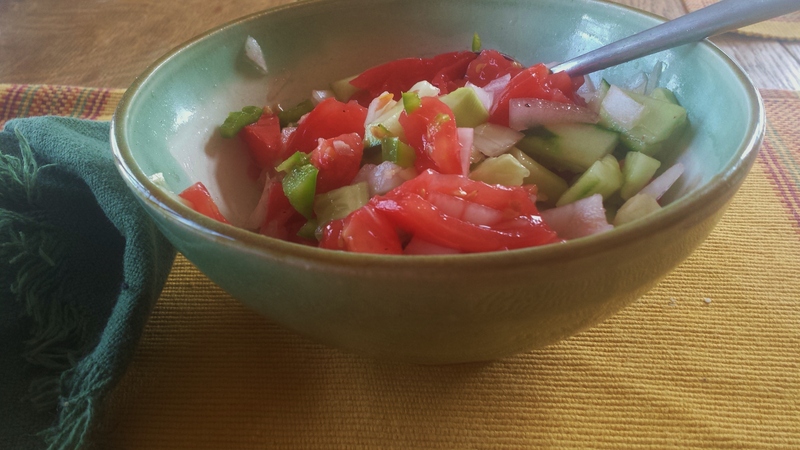 Red onions, the kind used in salads, cook up very sweet and yellow are savory. Deep orange carrots, grown in rich organic soil, are so sweet and fulfilling. The Queen of all root storage vegetables, the rutabaga, is in many of the things that we cook. We even love it raw; it is crisp and delicious! An easy veggie broth can be made in small amounts by using the parts that you usually discard; the root ends and skins of onions, carrot ends and peels, leaves of celery and stems of greens …yum! Just make sure to wash the veggies well before preparing and drop them into a pot of water with some seasoning and herbs. In late fall, there are always a few hanger’s-on in the field that are destined to be added to a hot pot of water. Celery is one of them. So in early December, I declared a day of broth-making and retrieved the remaining celery and herbs and made a day of it. 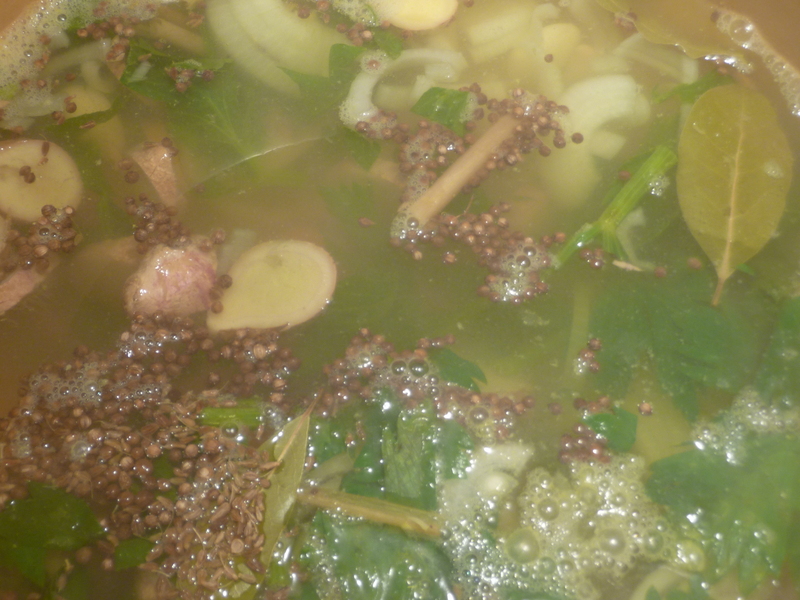 Veggie broth; 5-6 med. onions, 3 or 4 carrots, 4 potatoes, celery leaf, parsley, 1.2 tsp whole peppercorns 2-3 bay leaf, 1 celery root, chunked, fresh thyme sprigs salt 4-5 allspice berries and 4 qts. water. Chicken broth; similar to veggie broth, but with a whole, lovingly raised, free-range stewing hen or the carcass of a roasted chicken. 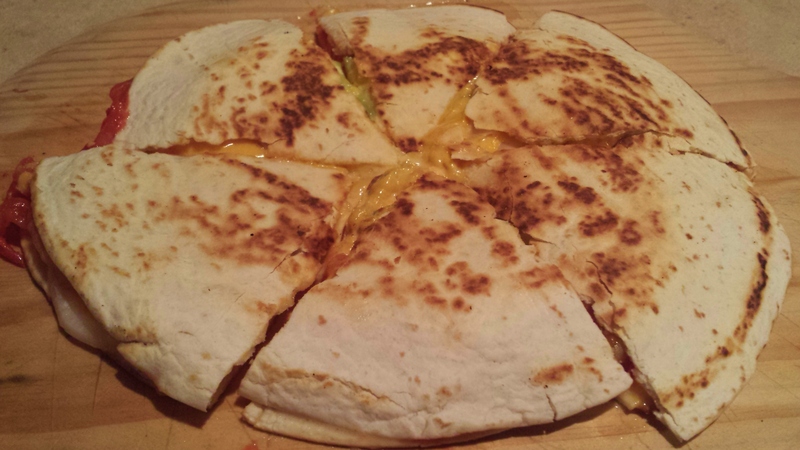 You can cut the veggie quantity in half or more. Sometimes I add a little sage to the broth. One of my favorite broths is Southeast Asian Vegetable Stock. The credit for this one goes to Moosewood. We had lots of lemongrass to use up in the fall; a key ingredient in this broth. I love to sip on a cup of this or add shelled Edamame to it for a little something extra. 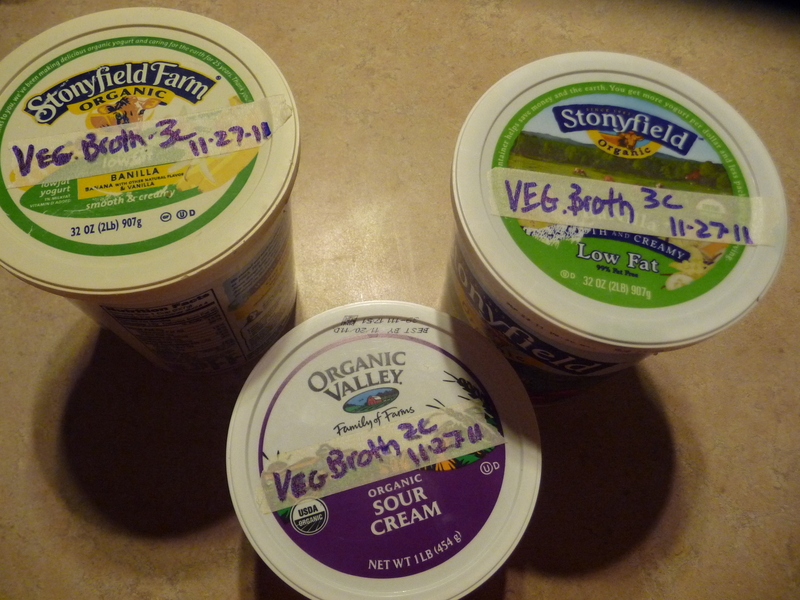 3 cup and 1 cup containers of broth, ready for the freezer. 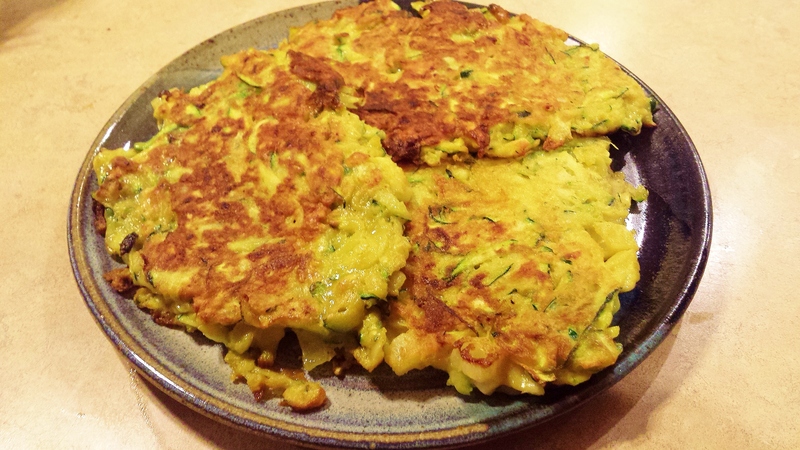 This entry was posted in Cooking, CSA, Recipes, Vegetables and tagged broth, broth recipe, fermenting, rutabaga, sauerkraut, soup stock, storage vegetables on 14 Jan 2012 by Meg.